« Is this the Future of Learning in Large Urban Slums? 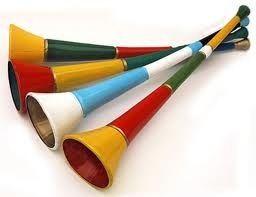 Two recent and unrelated phenomenon are Foursquare and Vuvuzelas. 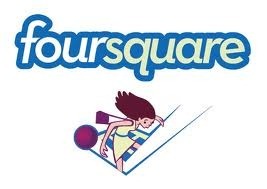 Foursquare is the preeminent geo-location service, (competing sites include Gowalla, Loopt, and Yelp) where users check in to locations such as restaurants, bars, parks or almost any type of establishment, in essence announcing to their friends on social network and media sites like Facebook and Twitter where they are at the moment. Vuvuzelas, of course, gained international attention during the recent World Cup. The horn like plastic device, along with the actual soccer on the field, became the story of the World Cup. The constant drone of the vuvuzelas is celebrated in South Africa, but became an annoyance to many spectators from other parts of the word at the stadium, and particularly those watching on television. There were many calls to ban the vuvuzela, but ultimately FIFA decided to allow the vuvuzela. This past week, I went to a soccer match in San Francisco, a friendly between Mexican club team Club America and renowned Spanish club team Real Madrid with nearly 50,000 other fans. Interestingly, my experiences that evening with both Foursquare and Vuvuzelas shed some light on my personal offline persona vs online persona. One thing that’s always been true about myself is that I’ve never liked to draw overt attention to myself. In public settings, I’m not the one who will be the first to karaoke, do a solo dance, or be the one yelling at the umpire at a sporting event. Just not who I am—draws too much attention to myself. At the Real Madrid game, the vuvuzela craze of the World Cup had been transported to San Francisco. Many fans had the horns, and enterprising vendors were all over the parking lots hawking them for $5 to $10. I sat and watched from my seat the various folks blowing into the vuvuzelas and thought about the type of person who chooses to use vuvuzela—basically a person who enjoys the collective spirit the vuvuzela brings to the stadium and doesn’t mind drawing attention to themselves or mind that others will be annoyed by the constant sound. Again, certainly not me. So, what I’ve realized is that while I don’t like to draw attention to myself in “real” life, in “online” life, I don’t mind as much. After all, by checking in and sharing it on Facebook, I essentially announced it with my 430 Facebook “friends”. Now, I’m not a habitual user of Foursquare, I check in maybe once a week at venues. But why do I like to check in at all, particularly given my offline persona I described above? Analyzing when and why I check in, it’s basically at places I think that will solicit a response. So, I’ll check in at a Real Madrid match; after the recent World Cup and with world class soccer on everyone’s mind, people would be interested, even impressed, and respond. In “real” life, while I may get a response by blowing into a vuvuzela or karaoking, I wouldn’t do it. In the online world, I’ll check in. So, what does this tell me. Online, I can check in and announce to everyone and not really care about the reaction of others. The only reactions I can see are the ones who proactively leave a comment which 99% of the time will be a positive comment. People who have a negative view of the check-in, have generally trained themselves to ignore Foursquare check-ins, or may sneer to themselves, but won’t take the time to put a negative comment on someone’s page. So, the follow on to the Foursquare experience is a positive one; you don’t directly experience the negative ones. At the stadium, the vuvuzela user has to be ready for the sneer, dirty look, the annoyance of others, or the occasional yell from a frustrated fellow fan, because we know that there are many people in the stadium, including those sitting right next to you who are extremely agitated by the vuvuzela. The vuvuzela user experiences both the positive and negative reaction of others to the action. The Foursquare user does not. This is how Foursquare and Vuvuzelas help explain differences in online and offline personas. It is interesting, that my behavior will be opposite of yours! I would like to participate in the collective fun the specators are having at the game! I would not want to bother the friends who might not be there! I will share the experience with them later in person! May be this is the generational difference! @ Gaurang, Interesting how the same factors I cite for using one but not the other is completely reverse for you. Don’t think its a generational difference, probably inherent personality characteristics of people. I guess in the online world you can benefit tremendously from drawing attention to yourself, whereas in the “real” world that is not always the case. I am glad to see the spread of the Vuvuzela worldwide though, and I must admit that I only found this post due to searching google for more info on Vuvuzelas. John– thanks for the comment and visiting the site. Vuvuzelas certainly have more traffic on the web than ever before I’m sure and I saw lots of them as I mentioned in San Francisco…. I think it will spread across soccer games, certainly in some parts of the world, but not all.